After Jim Yong Kim's exit, is it time to give up on the World Bank? 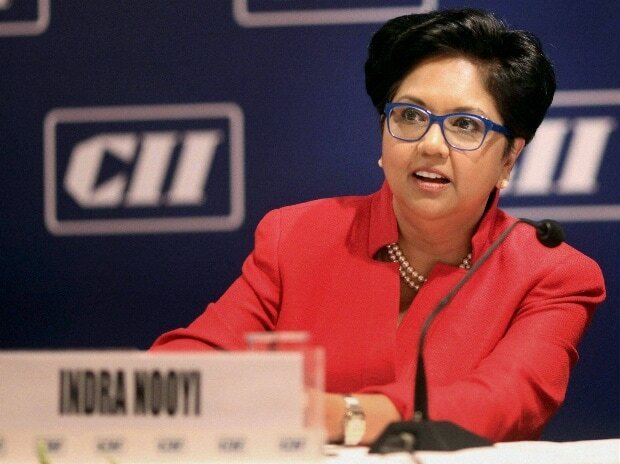 Nooyi, 63, stepped down as PepsiCo's chief last August after leading the company for 12 years. She "has been courted as an administration ally by Ivanka Trump, the president's eldest daughter who is playing a role in the selection of a nominee," the The New York Times said. The report, which cited several people familiar with the process, said the decision-making process for the top post at the World Bank is "fluid and in its initial stages and early front-runners and candidates often fall off the radar, or withdraw from consideration, before the president (Donald Trump) makes his ultimate pick". It is unclear whether Nooyi would accept the nomination if chosen by the Trump administration. The first daughter, who has tweeted that she views Nooyi as a "mentor + inspiration", has floated her name as a potential successor. World Bank's current president Jim Yong Kim had earlier this month announced that he would step down from his post in February to join a private infrastructure investment firm. His unexpected departure came nearly three years before the end of his term. The NYT report said that the process of choosing Kim's successor is being overseen by Treasury Secretary Steven Mnuchin, acting chief of staff Mick Mulvaney and Ivanka, whose role in the process was announced by the White House Monday. Ivanka's "role in the process drew some criticism from ethics watchdogs Monday, which said it could pose a conflict of interest for the president's daughter to be involved in international economic matters when she has not completely divested from her assets," the report said. Nooyi joined Trump's business council, which was disbanded after many chief executives quit following the president's comments blaming "many sides" for white supremacist violence in Charlottesville, in August 2017. Following Trump's win, she said at the NYT's DealBook conference in 2016 that "Our employees are all crying. And the question that they're asking, especially those who are not white: 'Are we safe?' Women are asking: 'Are we safe?' LGBT people are asking: 'Are we safe?' I never thought I'd have had to answer those questions". A spokesman for PepsiCo had told Fortune magazine that "Mrs. Nooyi misspoke. She was referring to the reaction of a group of employees she spoke to who were apprehensive about the outcome of the election. She never intended to imply that all employees feel the same way". Other candidates being considered for the position of World Bank head are under secretary of the Treasury for International Affairs David Malpass and president of the Overseas Private Investment Corporation Ray Washburne. The US president cannot install the World Bank leader, who must be approved by the bank's board, but has traditionally placed his nominee in the job.